Today’s historians agree that the “the great social and economic experiment” did more harm than good. 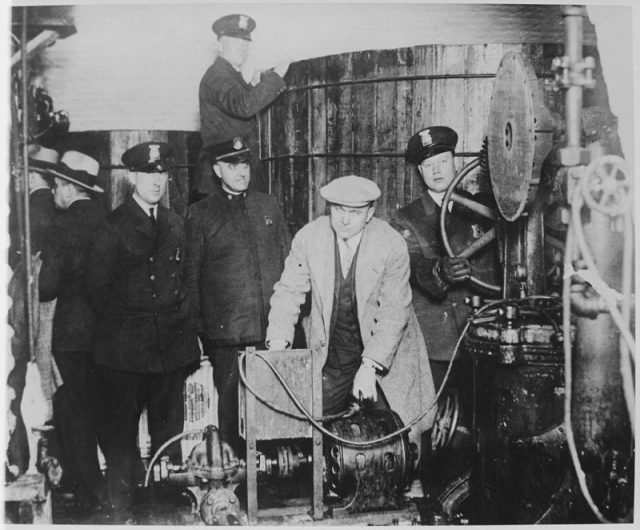 Bootleggers made serious (and often very creative) efforts to avoid detection and arrest by the police. Since a number of these efforts miraculously ended up on film, we present you a list of ultimate bootlegging situations in photographs. 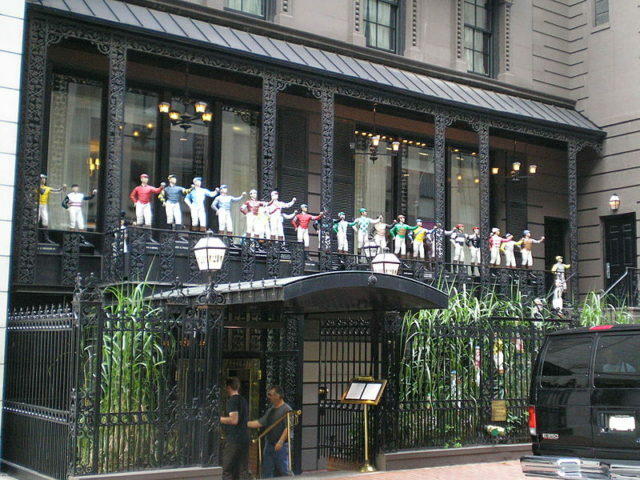 The spread of “speakeasy” bars appeared right after the ban, especially in urban areas where Prohibition hit the hardest. These illegal establishments which specialized in selling liquor despite the ban were frequented by many, although extreme discretion was obligatory. 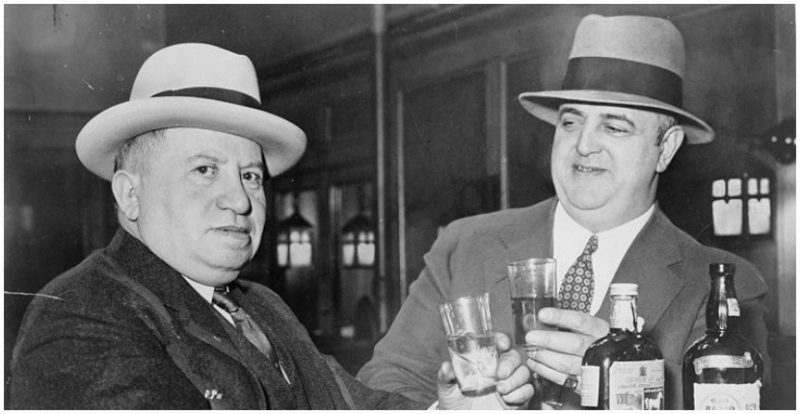 Often accessed via hidden doors and with a second escape route in case the place was raided by law enforcement officers, speakeasies notoriously became a lucrative income stream for organized crime gangs. Patrons might need to know the codeword to gain entry to these secret bar rooms. The moonshiners themselves had no intention of being easy prey. Brewing or smuggling alcohol was risky business indeed. It demanded creative solutions in order to stay one step ahead of the police, who were constantly lurking to catch anyone involved in bootlegging. 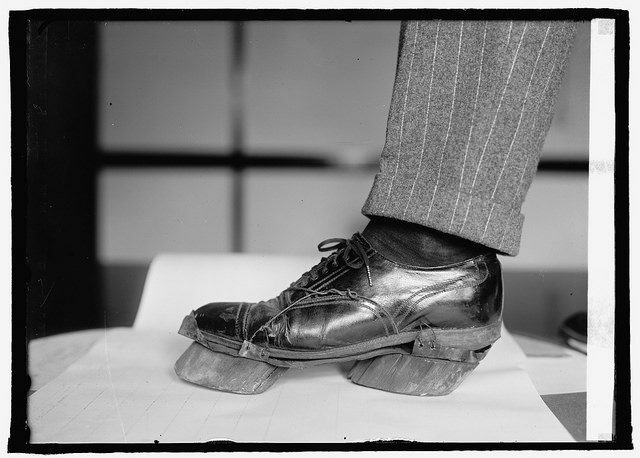 Cow shoes were invented to help producers and smugglers literally cover their tracks. Simple but ingenious — wooden blocks carved in the shape of cow hooves would be worn strapped to a pair of regular shoes, ensuring the police couldn’t track their footprints to their hidden still or meeting point. 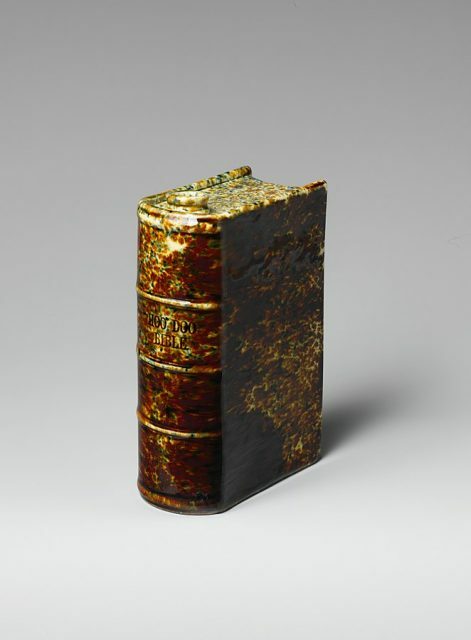 Earthenware book flask, height 6 in. Maker: United States Pottery Company, 1849. The Metropolitan Museum of Art, New York. While smugglers had to think of ways to hide their tracks, others had to make sure they weren’t seen consuming alcohol by the watchful eye of both the police and concerned public groups such as the Woman’s Christian Temperance Union or the Anti-Saloon League. One method used to drink unnoticed was by hiding booze in a fake book, such as this deceptively designed earthenware flask. A more standard hip flask might also be hidden inside a hollowed-out real book. Women certainly excelled in the art of hiding their liquor, as one can see in this photograph. Garter flasks were shamelessly promoted by celebrities such as Mlle. Rhea and today are available as a great flapper costume accessory, or perhaps a cheeky bridesmaid gift. 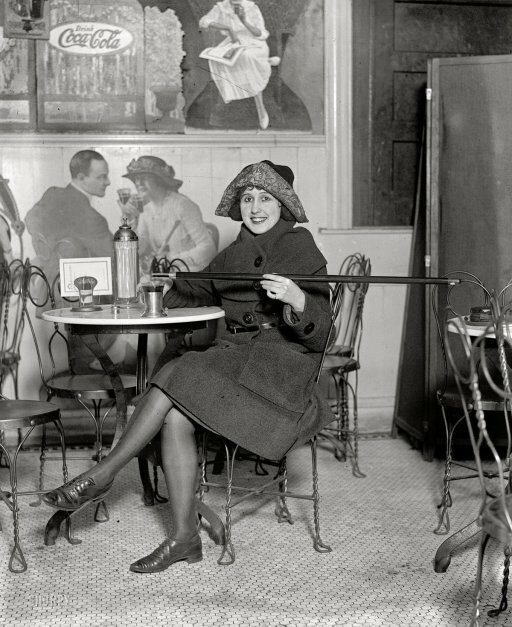 Woman holding a tipping cane, February 13, 1922, Washington, D.C. While some preferred to conceal their forbidden cargo, others believed in hiding it in plain sight. For example, this lady found a way to incorporate her passion for alcohol with a trendy fashion accessory. Secreted inside these tipping canes, or cane flasks, was a slender glass tube waiting to be filled with whiskey — or whatever tipple the owner could lay hands on. The photo was taken in 1922, in Washington D.C, at a soda fountain table. While the moonshiners turned a profit from making their own illicit spirits, a huge trade in smuggling alcohol was quickly established. 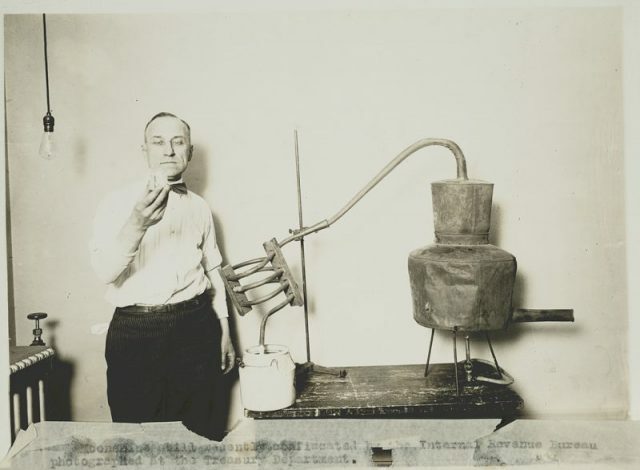 These “rum-runners” were an essential supply line for the speakeasies, whose customers expected quality liquor to be served rather than the often foul-tasting and dubious quality home-brew hooch that was more easily available on the streets. It wasn’t just rum that came into the U.S. from the Caribbean — ports such as Nassau served as a way station for whiskey imported from Britain or champagne from France. Shipments also came out of Canada, via both water and land routes. 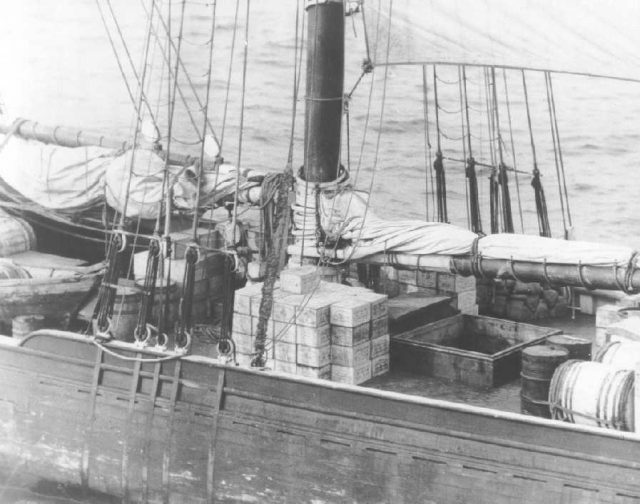 Many boats or their cargo containers were adapted in order to hide the largest amount of liquor possible. While the risk was indeed great, the compensation was more than enough to motivate people to take on bootlegging for a living. Especially after the Wall Street Crash of 1929. Prohibition was repealed by Congress on December 5, 1933, with the ratification of the Twenty-first Amendment — however, state laws were allowed to maintain the ban at a local level.